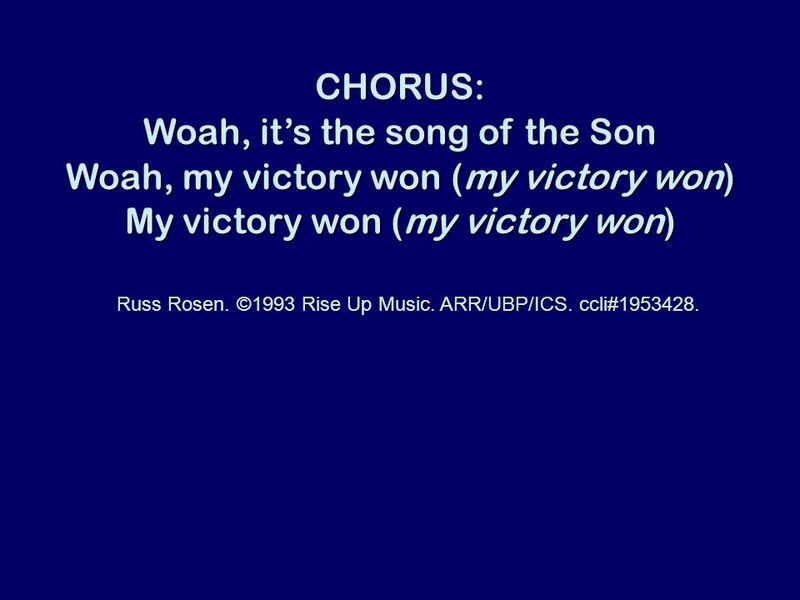 7 CHORUS: Woah, its the song of the Son Woah, my victory won (my victory won) My victory won (my victory won) Russ Rosen. ©1993 Rise Up Music. ARR/UBP/ICS. ccli#1953428. Russ Rosen. ©1993 Rise Up Music. ARR/UBP/ICS. ccli#1953428. Download ppt "Dancing in a Field Oooh, Youve got me dancing in a field Cause I know, I know I know Your love is real Oooh, Youve got me singing til the dawn Cause I." 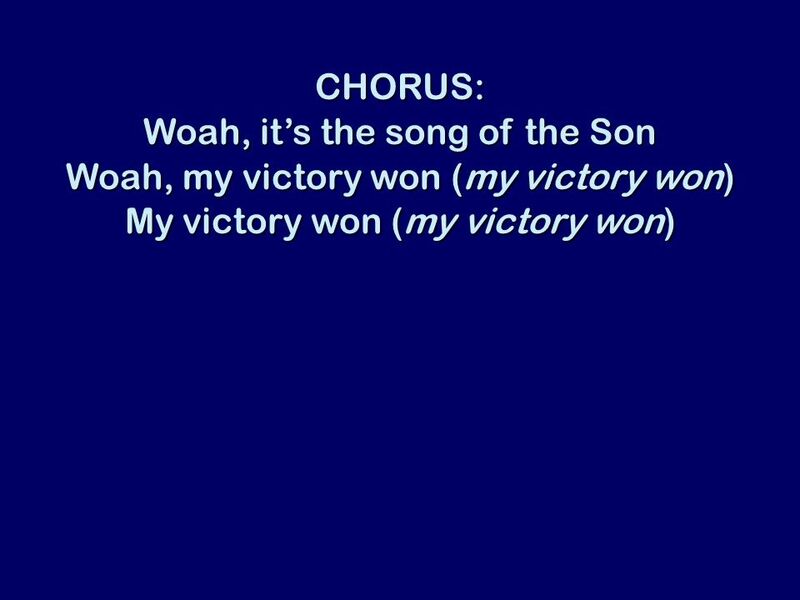 Thats Why We Praise Him He came to live, live a perfect life He came to be the living Word of light He came to die so wed be reconciled He came to rise. Be Praised Words and Music by Benji Carey-Smith CCLI Number: 6429821.